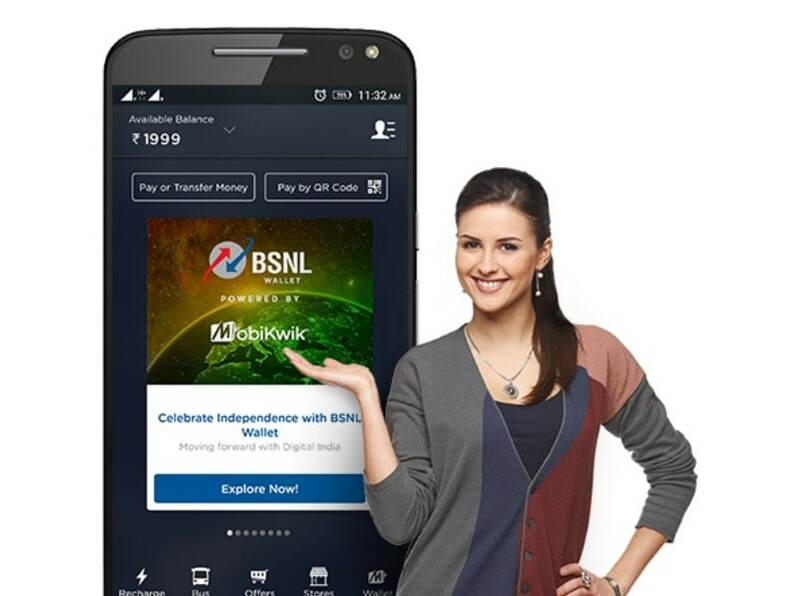 State-run telecom operator BSNL and digital payments firm MobiKwik’s co-branded mobile wallet has registered transactions worth over Rs 1 crore within 45 days of its launch. The companies expect a 10-fold growth in gross merchandise value (GMV) in the next 12 months, according to a statement. “…the co-branded wallet has registered over Rs 10 million GMV within the first 45 days of launch,” it said. The wallet was launched in August by Telecom Minister Manoj Sinha. With over 1.5 million merchants on its network, the BSNL Wallet is largest wallet by any telecom company in the country. The wallet enables online recharges, bill payments, shopping and bus ticket booking. “BSNL-MobiKwik wallet is an initiative to include semi- urban and rural India into the digital payments economy. We are enthralled by the initial response received, and hope to have 10-fold growth in GMV within the next 12 months,” BSNL Chairman and MD Anupam Shrivastava said. GMV is used in online retailing to indicate total sales value for merchandise or services sold through a marketplace over a period of time. Bipin Preet Singh, founder and CEO of MobiKwik said the wallet’s vision is to empower Indians with easy access to digital payments and financial services. “This milestone further strengthens our belief in masses’ disposition towards digital payments,” he added.